My name is Costa Christie and I'd like to fill in some colors to the Step-A-Side story. From the 1940s until the early 1950's it was known as the Blue Lagoon Milk Bar and Tea Rooms, a place I frequented often during my school years. In the early 1950's, Kai Nielsen, a Dane, the then owner installed a couple of grills and two waffle irons at the front counter. 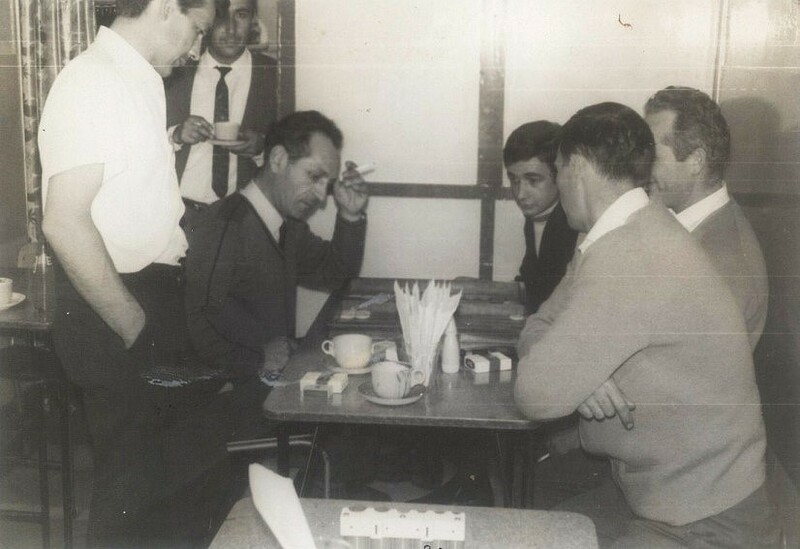 Early in 1964 my father, my brother Jim and I bought the Step-A-Side from Kai and operated it until mid 1966 when Lucky Papaioannou (Papas) bought my father and brother's shares. The two of us operated the business until 1968 when I sold my share to Lucky, he carried on for another two or three years until the lease ran out and he was forced to close down. Being one of only two all night burger bars in Wellington-Roy's being the other- we were privileged to meet all the "night" people especially the musos. I believe that "anyone who was anyone" passed through our doors at one time or another. Future PM Norm Kirk would often turn up in his slippers in the wee small hours. After the Step-A-Side, Lucky opened and operated a Pizza bar in the Lion Tavern in Molesworth St. for a number of years before selling up and moving to Sydney with his family. He passed away there in the late 1990's and his ashes are interred in the Greek section of the Makara cemetery. John Poole - "I visited often. The guy who worked there was ultra cool. His waffles were amazing (jam-syrup & cream from a pressurised soda-type cannister - yum) and his burgers were great too. I recall he used to crack eggs with one hand. Stylish. I think the name of the guy who made the waffles was 'Lucky'." Andy Shackleton - "Late night (early morning?) hamburgers and waffles at a tiny hamburger bar by the Basin Reserve, just around the corner from Kent Terrace. Steamy, smells of onions cooking on the griddle, and fantastic waffles." 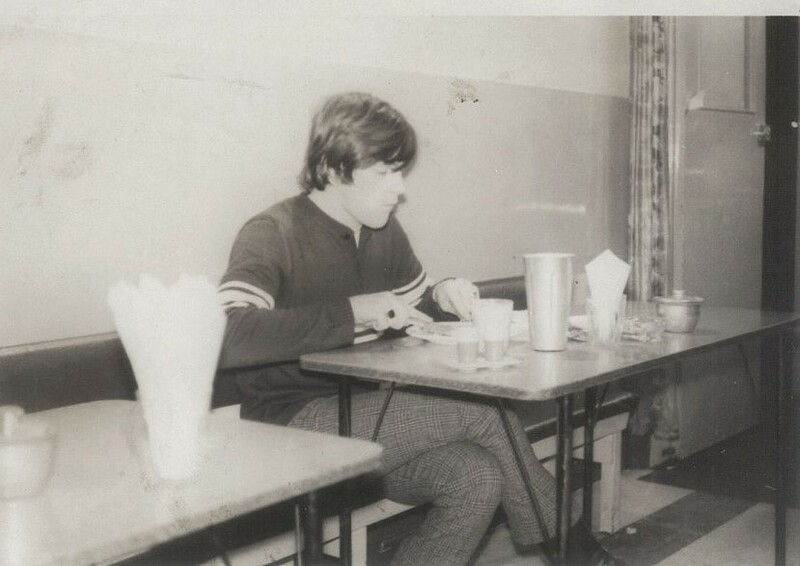 Doug Thomas - "I remember that place well...I think a Greek owned & ran it....fantastic hamburgers too.....what was the place called as it was a firm favourite when I played in The Breakaways.....Midge & the boys always took me there after gigs in Wellington.....in my opinion, they made the best hamburgers I've ever had anywhere in the world." Rod Stone - "I remember that hamburger joint well. I think I ate there more than I did at home around 1964. The owner and his wife were definitely European immigrants of some sort, probably Dutch (or possibly Scandinavian) and I know his name (nickname?) was Kai but the spelling is uncertain." 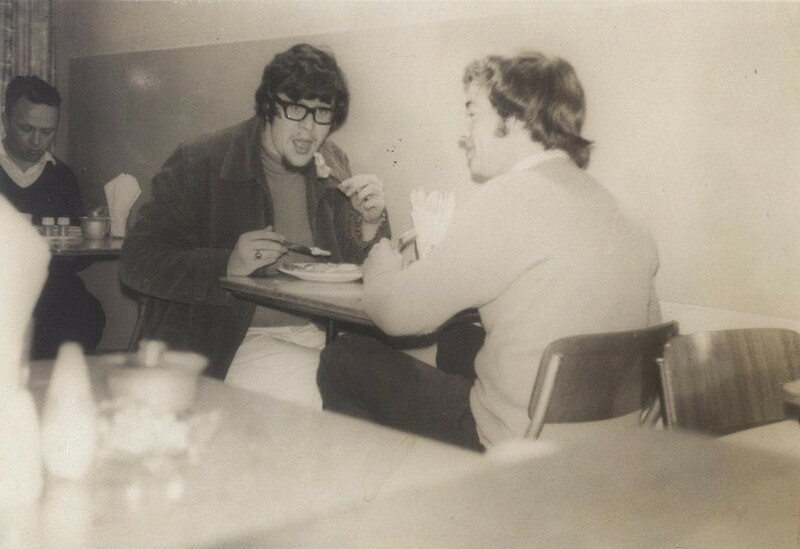 John Donoghue - "That late-nite burger bar at the Basin Reserve was called "The Step-Aside". It was run by Lucky Pappauanoi (might not have that spelling right). His younger brother George used to help out as well. In later years Lucky retired and George took the business over. There was also a cousin, Costa Christie, who drove cabs and also used to help out working at the "Step-Aside." I think it was Costa who was responsible for setting up the Backgammon schools that were always going between the Cab Drivers whenever you called in for a burger and tried to get a seat." Peter Hindmarsh - "Waffles to die for, they were. Probably would these days as they were loaded with lashings of cream."